Brilliant ruby. High-pitched cherry and black raspberry scents are complemented by vanilla and licorice, with a hint of smoky Indian spices emerging with aeration. Shows very good energy and focus on the palate, offering sweet red and dark berry flavors and a touch of licorice pastille. This suave, seamless, precise blend finishes with outstanding power and spicy persistence. 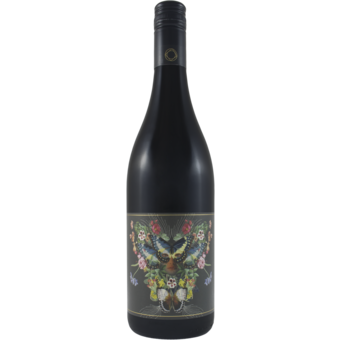 "This new Shiraz/Mataro (85:15) is 100% sourced from the Spring Farm area; the Shiraz is Adelina Estate fruit blended with some grapes from the Aberfeldy vineyard while the Mataro is from a site "just up the road". All up, an imposing 65 per cent of this wine comes off vines with an age of around 100 years. Production wise it's Adelina's usual routine; all fruit is handpicked and destemmed mostly into open fermenters, with a small portion fermented in Col's new Italian, unlined concrete vats. Both fermentations are with wild yeasts and the wine is matured in French oak barriques (a modest 12 per cent new) for 14 months.